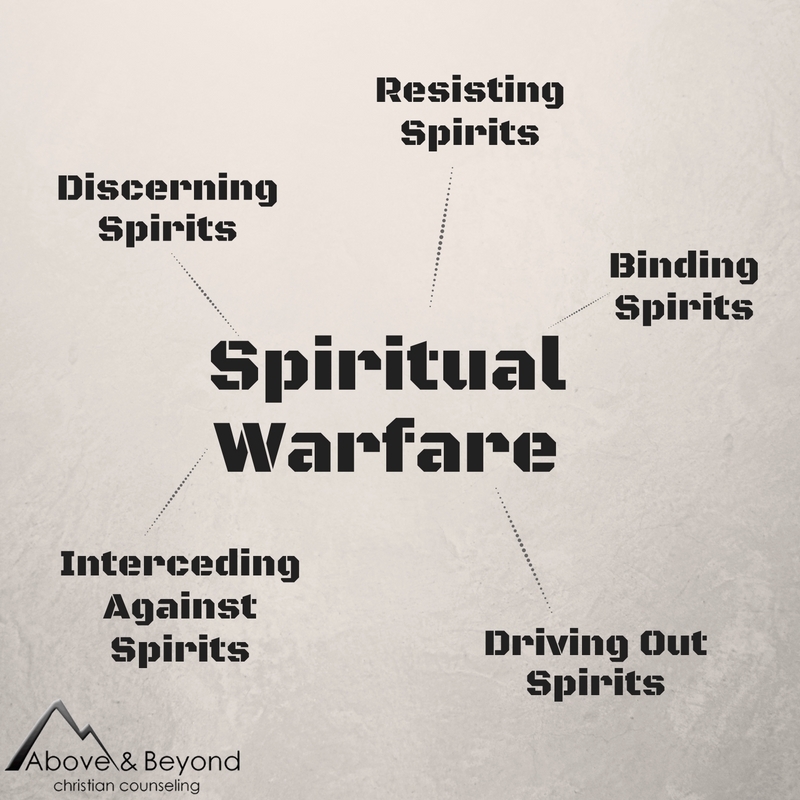 You are here: Home / Spiritual Warfare / What is Spiritual Warfare? The term “spiritual warfare” is never used in some churches, preached a little in others and emphasized heavily in a smaller segment. Much of what is taught is fuzzy, incomplete and lacking in principles to help the listener apply them personally. Do you have a clear understanding of what spiritual warfare is and how to wage it effectively over your life and loved ones? Many believers are taken out by the demonic realm. People die, marriages fail, ministries and businesses destroyed needlessly. Why? God’s people perish for lack of knowledge (Hosea 4:6), and ignorance does not bring bliss in this arena. Here’s the good news: you can learn how to be a mighty warrior, and the fulfillment of your destiny may depend on it. Time and effort you invest will pay huge dividends for you and your loved ones. I recently had a client come into our office for deliverance sessions. The man was emotionally and physically exhausted from countless hours of railing against demonic spirits tormenting him. He was experiencing a relentless assault on his mind and was occasionally close to vomiting when we tried to speak scriptures. Feelings of helplessness and despair had overwhelmed him when he found on an internet search. He understood a little about the demonic realm but what we was missing was destroying him. Would you like to become skilled in knowledge and actions you can apply to your personal walk with Jesus? Many of our articles to date have targeted deliverance ministry and Christian counseling topics. We will continue to create content in those areas because they are important. We have decided to expand our focus and expend resources in developing more resources in the practical aspects of personal spiritual warfare. We invite you along for the journey and hope that these will enlighten, encourage and equip you. Spiritual warfare comprises actions, by the believer, against the demonic realm to secure and maintain the victory over Satan, and his kingdom, that Jesus won on the cross. It’s not elegant or confusing, but I hope it is clear. Warfare unfolds on several fronts, but we are going to concentrate on you, the individual because our experience as Christian counselors and deliverance ministers has best prepared us for that. While we will mention other areas in context, we will not be telling you how to deal with demonic principalities over cities, churches and nations. If you are interested in that domain, there are many excellent resources available with different views and approaches. Looking again at our definition, it is important to “secure and maintain the victory”. Jesus came to destroy the works of the devil (1 John 3:8), but when you receive Jesus as your Savior, spiritual warfare actually begins. You may think that you’ve been in a war already, before salvation, but it was not a fair fight. You’ve been beaten up. Now you have Christ in you, and victory is yours, but you have to appropriate it. We’ll teach you how to do that. Many believers believe that they are battling Satan himself. He is one being who, unlike our God, is not omniscient (all-knowing), omnipotent (all powerful) or omnipresent (exists everywhere). Our struggle is against individual demonic spirits under Satan’s command. The distinction is important, and we will tell you why. We will address the first four primarily because we can share from a platform of experience. We’ll be careful not to stray far into areas that we do not understand well, including intercessory prayer in the second heaven (we’ll explain that in other articles). I’ve read many articles and seen videos by some who clearly have little, if any, practical experience. They may be repackaging teachings and internet snippets they’ve found elsewhere, and the result is usually confusing and bland. We want to give you solid food, principles you can apply and techniques you can use based upon what we have developed over years of ministry. If you are not yet subscribed to our Resource Center, I urge you to do that now. Our free resources (articles, podcasts, videos, and PowerPoints) reside there, and you will receive an email update when we release new content. Stay tuned; we’ll be developing targeted products to address life situations you are facing. For example, if you are a single mother with a teenage son, would it be helpful to have a set of tools (prayers, declarations, and actions) that you can wield to help your child’s life plan be fulfilled? You were created for greatness and God has an amazing plan for your life. He is able to accomplish abundantly above and infinitely beyond all we can ask or imagine according to His great power at work within us. (Ephesians 3:20 AMP). We hope you will take this journey with us; I am confident you will be blessed.